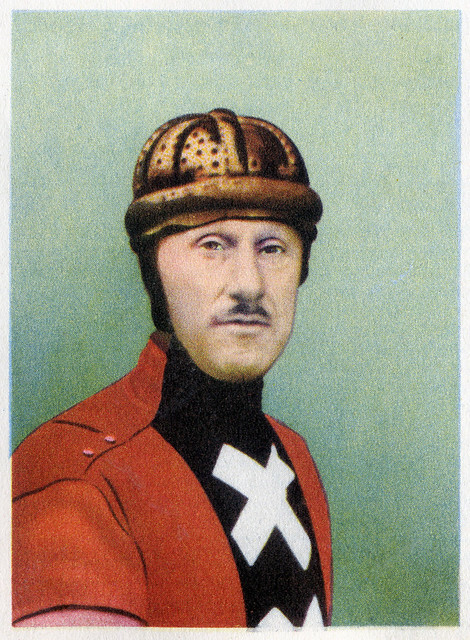 Piet Dickentman (4 January 1879 – 13 October 1950) was the first Dutchman to became World Stayers Champion (pro) in 1903. But München 1910 where he rode a new world speed record (100km in 1 hour and 4 minutes) was the real start of his fame. His trade mark was a red jersey with a vertical black stripe with 3 white crosses, the colors and St Andrews crosses taken from the coat of arms of Amsterdam. An early and very effective form of city marketing (not recognized nor acknowledged by the city of Amsterdam till this very day).